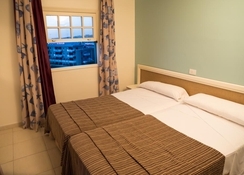 Laguna Park 1 Apartments is a contemporary apartment hotel, which is just a 5-minute walk from the beach. You can yours can have endless fun in the outdoor swimming pool, where you will also find sun loungers to sit back and relax after a tiring swim. The hotel also offers car rental service, so that you can discover the region at your own pace. When it comes to gastronomy, there are plenty options at the on-site restaurant and bar. Apart from this, there is a playground and games room, which will keep the younger guests excited and engaged. 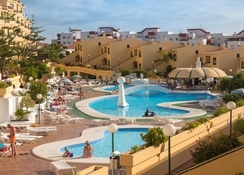 The Laguna Park 1 Apartments are an apartment complex nestled in San Eugenio, Costa Adeje, Tenerife, Spain. There are several shopping and dining opportunities close to the hotel. Beach lovers will have a nice time, as the nearest beach is only five minutes’ walk from the property. Those who believe in retail therapy can head over to the San Eugenio Shopping Centre, which is only 300m from the hotel. 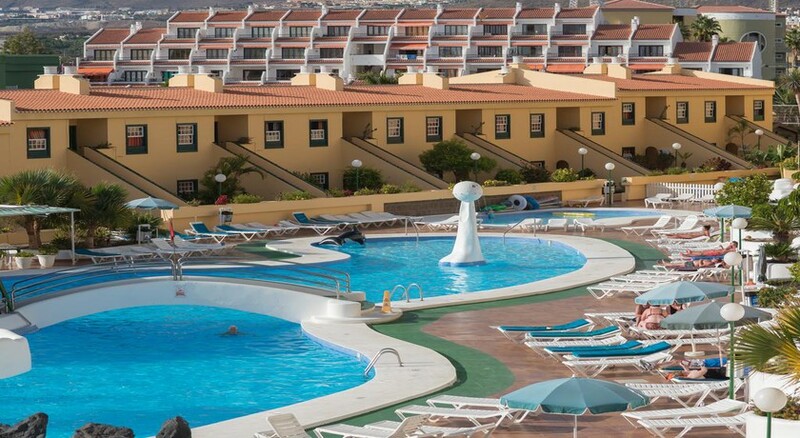 The hotel is a convenient option for the guests to stay, as the Tenerife South Airport is only 16.5km from the hotel. The Laguna Park 1 Apartments offers family-friendly apartments, which are suitable for couples, families and group of friends. 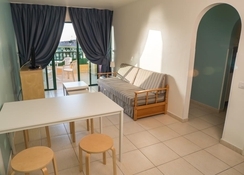 Amenities include a flat screen TV, sofa, table, chairs, balcony, well-equipped kitchen (microwave, kettle and toaster), bathroom (with toiletries) and in-room service. There are ample gastronomy options in and around the hotel, where you can explore local and international specialties. Those who want to dine and drink in the hotel premises can take advantage of the buffet restaurant that serves lip smacking breakfast, lunch and dinner, or you can make yourself comfortable in the room by leveraging the in-room food service. If you are looking for ample sports and entertainment facilities, then you don’t need to look further than the hotel’s premises. There is an outdoor adult-only swimming pool and a children’s pool, where you and yours can take a relaxing swim under the sun. Water sport enthusiasts can head to the La Pinta Beach, which is hardly a kilometre away. 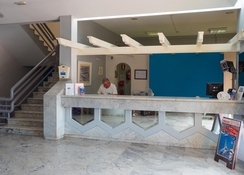 The hotel was in a great location and provided great facilities and entertainment programmes especially making paella with their head chef , then having it served at the pool bar to everyone. 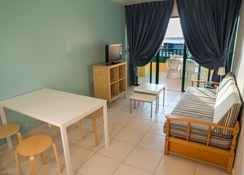 Room was super clean .. pool area clean and always got a sunbed .. staff where polite and helpful.. the lifeguard to the barman all very nice .. bar and drinks were always served to a good standard no dirty glasses or cutlery..
Nice spacious rooms, fabulous pool, friendly staff, grate location. Friendly staff, good location, needs updating. Room was clean and cleaned regularly. No air conditioning in rooms which was difficult as we were there in July and it was very hot. Food was nice and varied.entertainment was poor as it is inside the main building in a smallish room which resembled a social club. If you did not want to sit in there, there was no real area for entertainment. Everything shut down at 10pm. All snacks were not included in all inclusive and only small plastic cups given for alcoholic drinks.still had to go out of the hotel for decent entertainment which defeated the point of all inclusive. The poolside is very nice and well maintained.